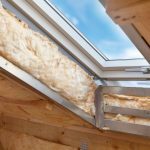 The same convection force that makes a hot-air balloon rise can cause a house to have major comfort and energy problems. Everyone knows that hot air rises and that cool air sinks. Convection: It’s a basic law of thermodynamics aptly demonstrated by a hot air balloon that ascends as it’s filled with heated air. When the air inside the balloon cools down and becomes denser, the balloon begins its journey back to earth. 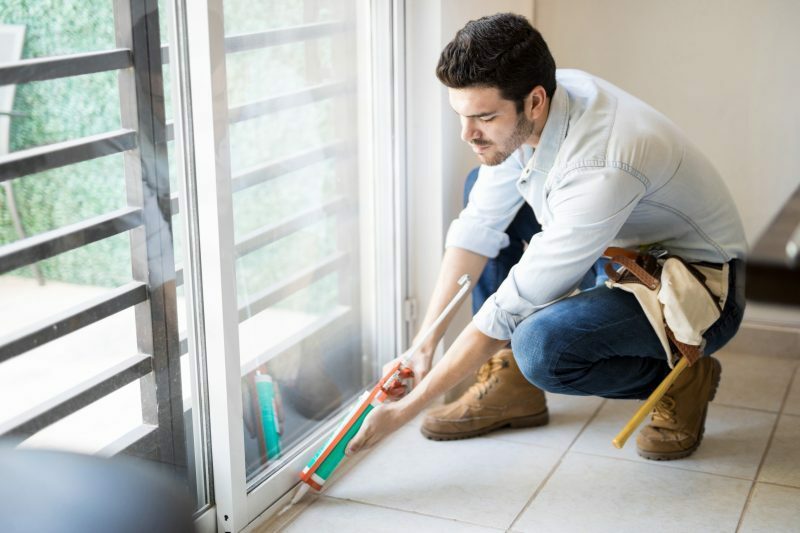 Losing the air you’ve paid to heat is bad enough, but this escaping air creates negative pressure inside the house –a vacuum that causes air infiltration. 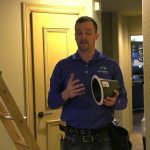 Cold outside air is sucked into your living space through other cracks, gaps, and openings. 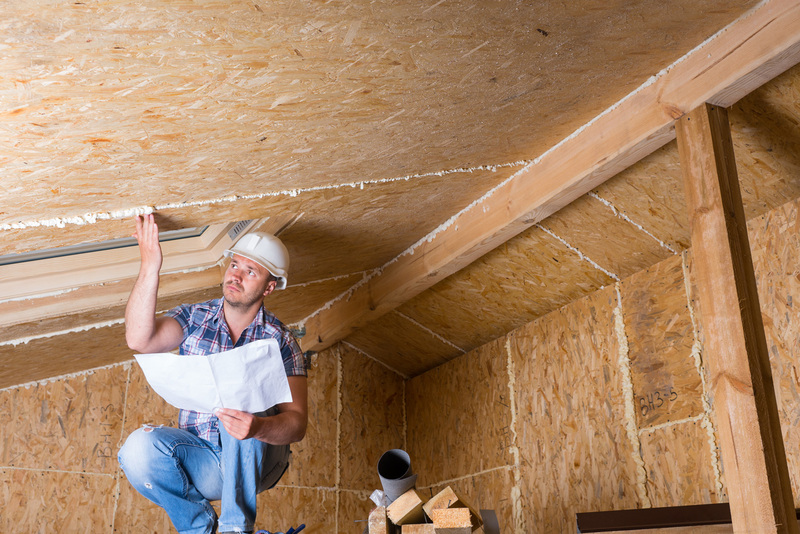 In the winter, cold air infiltration usually occurs in lower parts of the house –like the basement and/or crawl space. But air infiltration can also occur around window and door framing and around electrical outlets located in exterior walls. Stack Effect: High & low leakage. 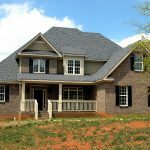 Warm air tends to leak out near the top of the house, causing outside air to leak into the house lower down. 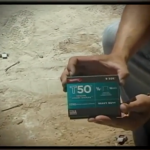 All homeowners should be conscious of air leaking, and the ways they can prevent it. The best long-term remedy is thorough routine inspection. 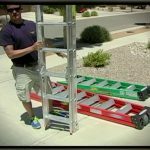 Is the stack effect at work in your house? Check for these signs. 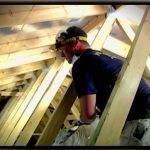 Symptoms of the Stack Effect at work in your house include cold drafts you can feel near exterior walls (especially around electrical outlets and window trim) and cold drafts in the basement. You may also notice that the floor surface directly above a basement or crawl space is uncomfortably cold during winter months. 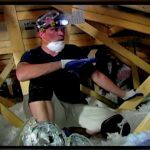 Up in the attic, evidence of air leakage and Stack Effect energy loss can often be found on the fiberglass insulation installed over the attic floor. 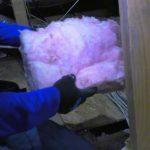 Insulation installed near an air leak will often discolor from the dust deposited on the fine fibers by rising air. 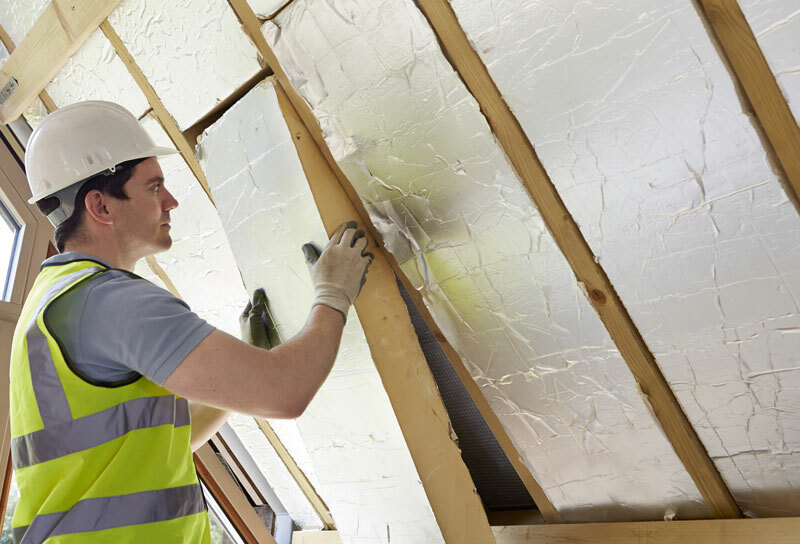 Sealing air leaks short-circuits the Stack Effect. 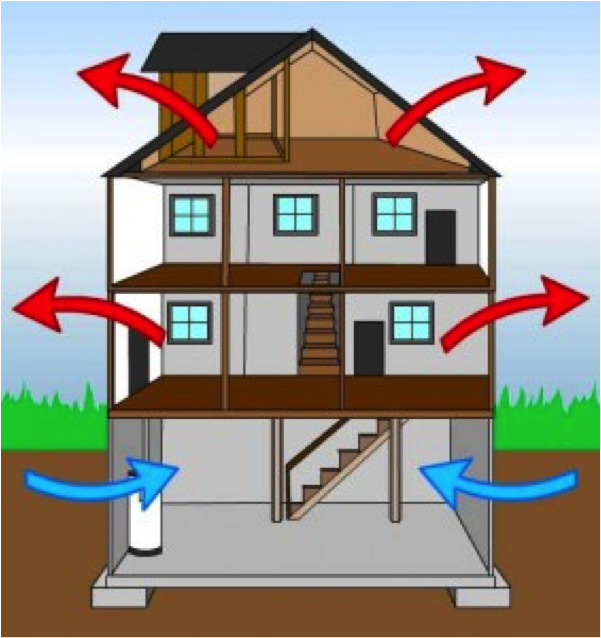 The Stack Effect has three “drivers” that determine its magnitude: the overall height of your total living space (multi-story buildings tend to have stronger convection), the interior-exterior temperature difference (the larger the difference, the stronger the effect) and the amount of air leakage in the house. Since you can’t do anything about the first two drivers, it’s necessary to focus on the third: air leaks. 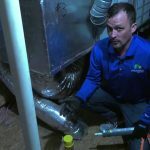 Having your home professionally air sealed will effectively short-circuit the Stack Effect by dramatically reducing air exfiltration and infiltration. 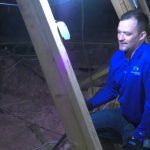 It’s especially important to seal attic air leaks, since this is where most warm air escapes in the winter. According to Dept. 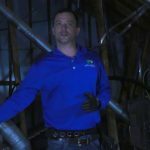 of Energy research, attic air sealing, when combined with an attic insulation upgrade, can cut your heating and cooling costs nearly in half.